A trip to a Tallahassee homeless shelter has spawned tens of thousands of socks and a business with sole. DivvyUp, the product of an effort to do good, hardly takes the competition in stride. In less than five years, it has gone national. “Our vision is to be the No. 1 custom-sock company,” said Jason McIntosh, a company co-founder along with Mitch Nelson and Spencer Bluni. 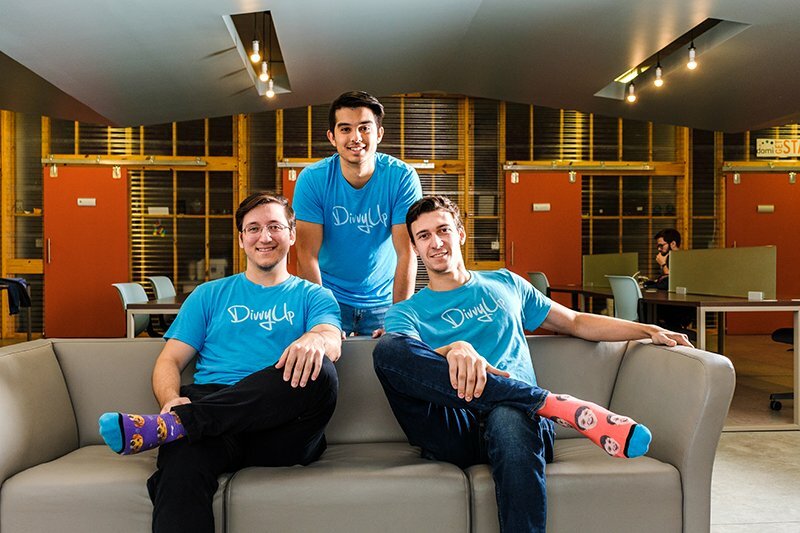 DivvyUp calls itself an on-demand custom-sock company. You choose an online template, upload a photo of a loved one or a pet — and, boom, you have bounce in your step because you have caused a new, specialized pair to be sent to a local homeless shelter. That’s the result of the company’s giving component. Customers usually receive their orders within about 10 days, the company said. In early August, prices started at $24 a pair. A class project required students to get into groups and start a small business. A group that included McIntosh and Nelson focused on starting a venture that would help the community. The group struggled with its first idea and eventually found its way to a homeless shelter, since demolished, on West Tennessee Street. “We simply asked the receptionist, ‘What can we do to help?’ ” McIntosh said. The receptionist’s response: Homeless clients need clean socks, which people tend not to donate. The students got a $400 loan from their professor and bought what they called “fun socks” to sell. For every pair they sold, a pair would go to the mission. Within about six weeks, they gave 160 pairs of socks to the shelter. In working to gain traction, DivvyUp took full advantage of educational resources, mentors and connections at Domi Station, said the incubator’s executive director, Antonio Montoya. “After pivoting their business model several times, DivvyUp hit an untapped market in 2017 and grew exponentially, selling over 200,000 pairs of socks worldwide and gifting another 200,000,” Montoya said. The company says it worked with leaders in the homeless community to create a sock that includes, among other features, dark materials to hide wear and antimicrobial treatment to prevent infection. ‘DivvyUp has donated socks to shelters in 23 states, including 11 in Florida. Sara Jean Hargis of the Big Bend Homeless Coalition said most coalition partners suffer from severe funding shortages, and their clients appreciate the DivvyUp donations. “We really enjoy objects like this that are super practical,” she said. DivvyUp now has its own 17,000-sqare-foot production facility, which employed 26 people this past summer. That number may triple this holiday season, McIntosh said. DivvyUp emphasized its commitment to giving away a pair of socks for every pair it sells but said it has shifted its marketing approach.